On Rosary Sunday this year, we launched an exciting project for which we are currently fundraising. As the Diocesan Shrine for the Holy Rosary, we are often asked about the Mysteries of Light, which were only introduced to the traditional fifteen-decade Dominican Rosary in 2002 by Pope St John Paul II. Consequently, our church only has chapels for the original Joyful, Sorrowful, and Glorious Mysteries. 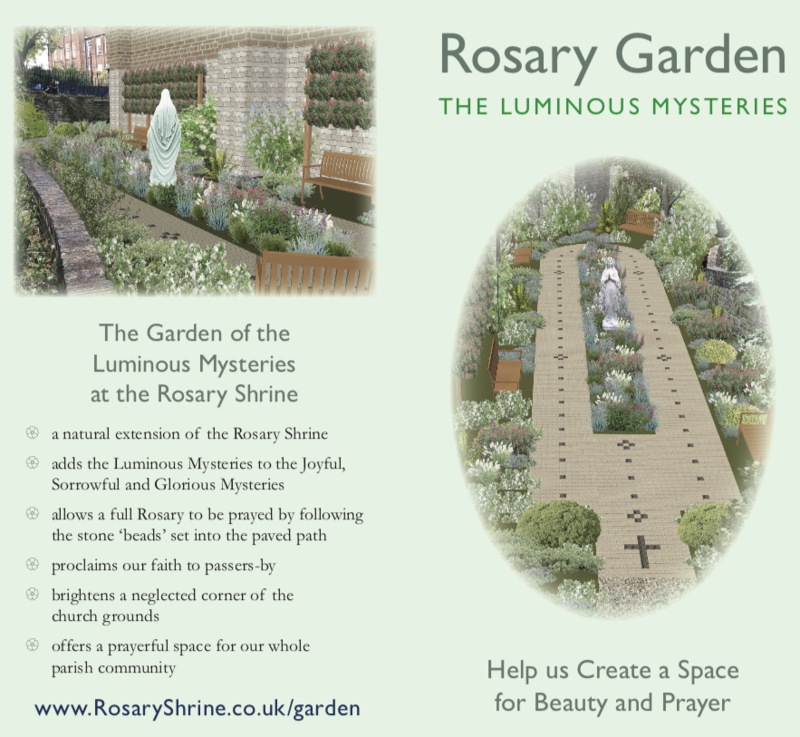 Our hope is to provide a beautiful and accessible space for the praying of these new Luminous Mysteries; a garden space for quiet contemplation to be situated in the now-derelict grounds behind the Lady Chapel. To find out more about this project, see the planned design of the garden, and to make a donation, please visit the Luminous Mysteries Garden webpage.